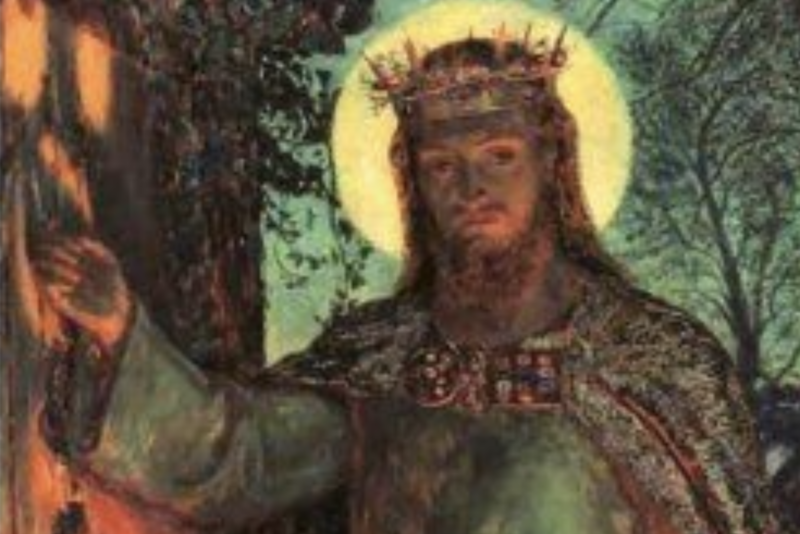 Perhaps the best known fact about the painting is that the door at which Jesus knocks is not only a bit overgrown, it also has no handle on the outside. It can only be opened from within. This fact gives us an ideal point for our reflection based on today’s gospel: Jesus said: “I am the light of the world; anyone who follows me will not be walking in the dark; they will have the light of life”. Jesus is the ultimate respecter of human freedom. Love always respects freedom. Of course Jesus has the power to force himself into our lives pressuring us to obey in the way that loving parents might for their children. But such an attempt to manipulate (while having a place in the formation of children) is not the way of love for adults. We who are reading this reflection are not children. We are adults. And while our parents may in their older age still try to influence us, if they truly love us, in the end they will give us freedom. Of course they will give us advice and opinion, even hoping and praying that we will not go down a particular path, but in they end the loving parent of adult children leaves us to say yes or no. Jesus treats us as the adults we are, inviting but not forcing our response, our co-operation and our love. Tragically we fail to realise how much happier and healthier we would be if we recognised the sound of Jesus at the door of our lives and responded by inviting him in. 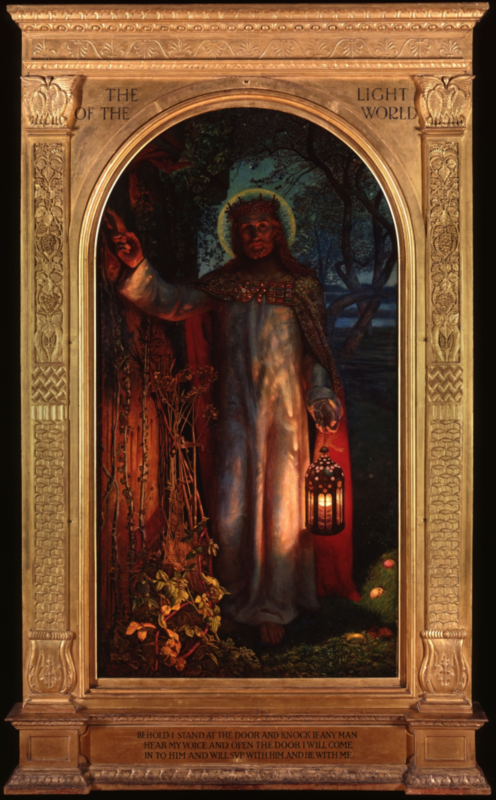 While some of those who visited the Holman Hunt painting in New Zealand in 1906 noticed only the artistic merit of the work, the vast majority were touched in some way by sense of renewed personal invitation to them from Jesus while they stood (or knelt as many did) before the painting. It was this religious renewal that led to the painting (on its return to London) finding a permanent home in St. Paul’s rather than in the Tate gallery as originally planned. Take a couple of minutes now, perhaps set the timer on your phone and take five, or drive to work without the radio, and recognise that Jesus is inviting you to invite him into every part of your life, especially your struggles, stresses and anxieties. The comments section on yesterday’s reflection is especially inspiring. Take a moment to savour the reflections of others at this link. At the bottom of this page is my homily from yesterday, Sunday 7 April, as a podcast reflection for your drive to work. 2 Responses to "come in!" I found yesterday comments very thought provoking and I’m sure very good and helpful. I attended a reconciliation service yesterday and it went beautifully at Stokes Valley and it appeared to me that all of us went home very peaceful and happy. Thank you Fr John for the timely reminder in my case, that although I am a sinner, I am forgiven! I had taken my eyes off the prize for a moment.